For over one hundred years Westminster Church has served its community, offering opportunities for people to gather and worship. Westminster first opened its membership roll on October 22, 1892 when members of St. Andrew's Presbyterian Church in Winnipeg, Manitoba decided that a new, more centrally located congregation was necessary for the quickly growing community. A few months later, on New Year's Day, 1893, Westminster Church held its very first Sabbath Service. The Rev. Prof. A.B. Baird presided over the service and welcomed more than 200 people to Victoria Hall, later the Victoria Theatre on Notre Dame Avenue in Winnipeg. Almost immediately, plans were begun for what was thought to be the church's permanent facilities, erected at the corner of Notre Dame and Charlotte. By 1909, Westminster's membership had tripled and the congregation was faced with the need for a new, larger facility. The church had recently established a branch Sunday school in the southwestern part of the city and it was decided that the new building be located in that general area. A site at Maryland and Buell (later named Westminster in honour of the church) was selected and on June 16, 1912, more than 1300 people were on hand for its inaugural service. Around the same time, the Presbyterian, Methodist, and Congregational Churches of Canada were in the middle of negotiations on church union, though it was not yet clear that a union would be consummated. The people of Westminster looked forward to hopefully being a part of a new United Church. When the three denominations finally came together to form the United Church of Canada in 1925, the church voted to enter the union. Westminster United Church was born. 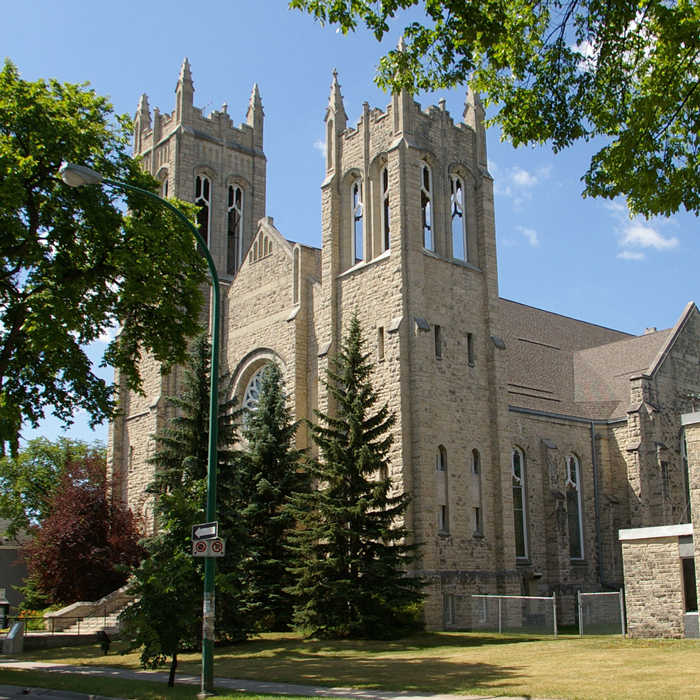 In 1992, both the City of Winnipeg and the Province of Manitoba declared Westminster Church a heritage building. In 1999, Westminster Church was named a West Broadway Heritage Site and was included on the walking tour of sites in that area.